If you’ve never seen the horse country of the Hunter Valley, you’ll hardly find a better time to appreciate it than now. The farm has had 125mls of rain in November and it’s as green and healthy looking as I’ve ever seen it, particularly for this time of the year. I’m guessing it’s a great time to be a foal! Paddy Oman (of all people!) has been telling me all week that Vancouver is the product of a November 23rd service and that Dissident, Boban, Amanpour, Mourinho and Buffering, all G1 winners this year, are November foals, so there’s merit in covering your mare at this time of the year too! It really doesn’t seem that long ago that the good, the bad and the ugly of the bloodstock industry were on the Gold Coast for the Magic Millions in January. It’s only 43 days before we are back up there parading our 2016 offering – time flies when you’re having fun it seems! Given the volume of promotional work being done by both Magic Millions and Aushorse (for which both deserve a huge amount of credit – I especially liked this one - https://www.youtube.com/watch?feature=player_embedded&v=zWIzeoMgBfU), the expectation is that there will be a significant international presence at the sale to supplement the traditionally strong domestic buying bench. The promotion means that there can’t be a bloodstock professional in the world that doesn’t know what is happening on the Gold Coast in January. It certainly can’t do any harm that owners from the USA, China, the UAE, Japan, New Zealand, France, Mongolia, Macau, Malaysia, Hong Kong, Sri Lanka and Ireland amongst others have enjoyed group one success here this year. You’ve got to be in it to win it!. Speaking of promotion for the sales; special mention to BOBS (@BOBSNSW) who have drawn attention to the fact that 88% of the yearlings catalogued for the Magic Millions are BOBS eligible – a fact to bear in mind when you consider the amount of money on offer! The two year-old racing scene is invariably a talking point at this time of the year. Records show that in 12 of the last 20 seasons, the Slipper winner had made it’s debut by this date and in an additional 4 seasons, the Slipper winner had been to the races between now and the turn of the year. That’s pretty remarkable when you consider that there have only been 15 or so metropolitan two year-old races so far in Sydney and Melbourne combined! Uncle Mo was on the board with his first and only runner so far in Conchita and the hope is that she can become a first Australian stakes winner for him in a race like the BJ McLachlan Stakes on the Gold Coast over Christmas before pushing on to the Magic Millions Classic. She’s raced by Steve and Louise Gillard with Paul Perry, people who have a great Coolmore connection, so we’re very much hoping that she continues to be lucky for them! Not only is Uncle Mo going to be (a record-breaking) champion 1st season sire in the US, his figures so far of 24 winners, 7 stakes winners (including 2 G1 winners) for earnings of over $4.6m will see him crowned champion sire of two year-olds overall. Zoffany has had a placegetter from his only Australian runner and he’s going to be champion 1st season sire in Europe, with his tally currently standing at 30 winners, of which 5 are stakes winners. It’s all eye-catching stuff and I think it’s fair to say that you could have gotten big odds a few months ago about Uncle Mo having sired more Australian two year-old winners to this point of the season than Foxwedge, Sepoy and Smart Missile combined! It will be interesting to see how the season unfolds. As usual, the recently concluded Melbourne Spring Carnival provided some spectacular highlights. 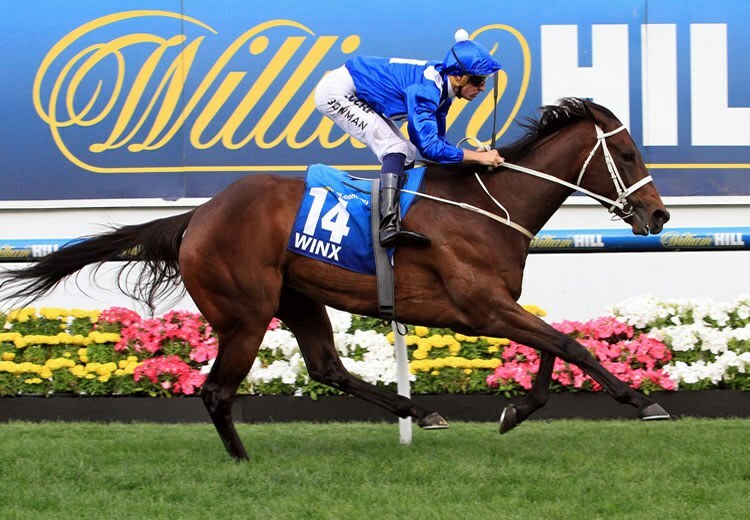 Maybe none was more significant than the collective wins of the Australasian-bred triumvirate of Mongolian Khan, Winx and Prince Of Penzance in the Caulfield Cup, Cox Plate and Melbourne Cup. 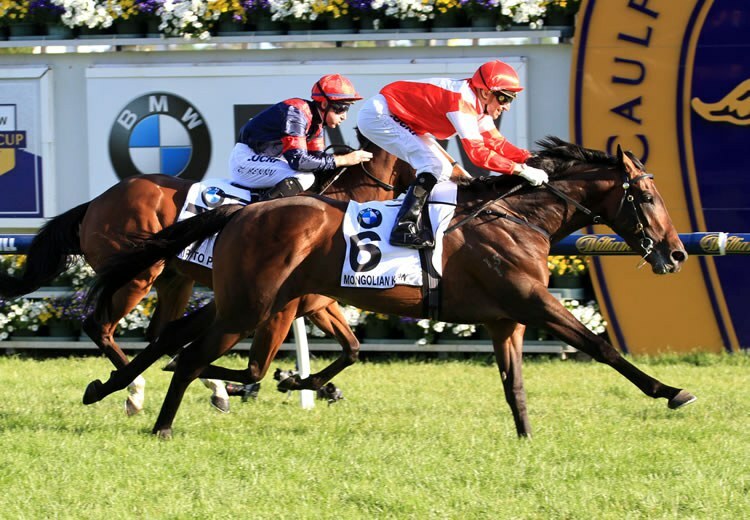 At a time when the ability of Australian breeders to produce quality Classic and middle-distance stock has been seriously called in to question, it was great to see both Mongolian Khan and Winx in particular repel strong fields of imports and international raiders in their respective races. The fact that the mighty Treve is the only female rated higher than Winx on the current set of World Racehorse Rankings for 2015 emphasises what a special filly she is. She’s won a Cox Plate and an Epsom this Spring and combine that with a Coolmore win for Japonisme along with Slipper and Blue Diamond wins for Vancouver and Pride Of Dubai respectively; it’s really been a special year for graduates of the farm. It certainly makes the question most frequently asked of vendors at the sales – ‘What’s the last good horse off the farm?’ – an enjoyable one for us to answer this year! I’d encourage anyone and everyone to ‘sing when you’re winning’ in terms of breeding success. It would be a mistake not to and as a wise man once said; ‘Enjoy it… it might never happen again’! Getting back to the Carnival, surely the most poignant win was that of Politeness in the Myer Classic on Derby Day. Phil Sly has owned some wonderful horses in recent years – Mosheen, Lumosty and Digitalism amongst them – and to hear him speak of the joy that his horses are giving him at a time when his struggles with cancer have been well documented was heart-warming. Phil is a patron of the Pancare Foundation which is involved in research projects into, amongst others, pancreatic and liver cancer, as well as providing support to those affected. The Pancare ‘Festival of Sports’ lunch will be hosted at the MCG today and those associated deserve enormous credit for the organisation of such a fantastic event in support of a great cause. I wish Phil, Janet and their family all the very best, hoping that horses continue to give them reasons to smile. The yearling prep, as I alluded to earlier, is in full swing. Our draft is probably more diverse in terms of pedigree and profile than usual, but it’s an incredibly strong one with 25 of them being siblings to black-type runners or the progeny of black-type mares. The horses will start to really take shape over the next three weeks, but at this stage, one starts to get an impression of the horses that are really enjoying the experience. You love to see them looking and feeling well, really getting in to their exercise and licking the feed bin each and every time. The team at Gai’s said that Pierro never left an oat when he was in work and it certainly looks as though his progeny have inherited, amongst other things, his appetite! Time will tell if he’s going to be as good a sire as we (and plenty of others) think he will be, but the early signs couldn’t be any better!